There is a sweet comfort that comes from what feels familiar, what feels like home. The idea of familiarity invites peace, security, and safety—a warmth that destroys loneliness and fear. 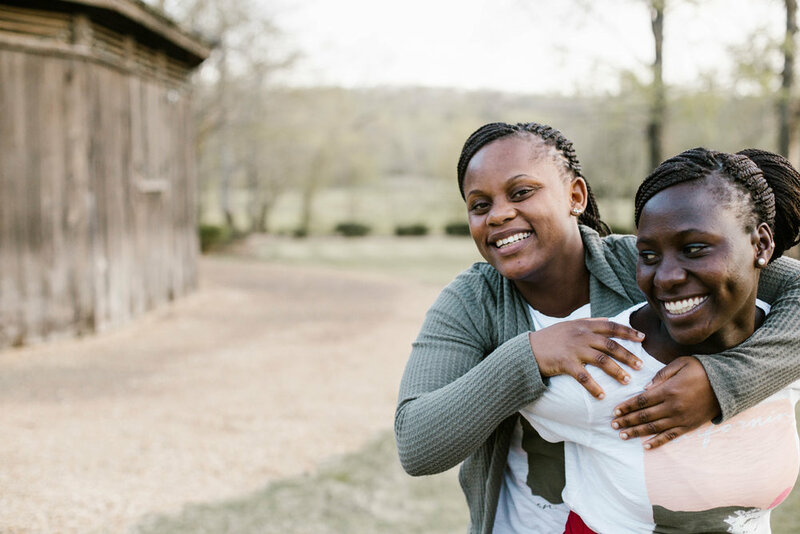 Nothing in this life is more important than relationships—that is why Sozo’s mission strives to not only provide physical and emotional care for our kids, but to provide love, friendship, and family for them, giving them a haven not to just call their living space, but a place they can call home. This month at Sozo, we are looking deeply at the idea of the familiar: the things that make us feel loved, safe, and secure. The things that are most familiar—our family and friends—are among the most important possessions one can hold onto. Join us as we talk with our choir kids as they reflect on their relationships with their siblings or friends, something that reminds them that they are chosen and loved because of the things they hold familiar. What does the word "family" mean to you? Hannington: A group of people living together related by blood. Natasha: What it means to me is something I can depend on. H: My favorite thing about Natasha is that she is my sister. N: Me too, that he is my brother. H: She is my sister, she is stubborn, and she is funny. N: He is determined, he is wise, and he is short. H: Playing around, jumping rope, and running together. N: I like disturbing and annoying him. If he is lonely I come and start tickling or pinching him. H: I shout back at her. Do you have a nickname for each other? N: I call him Ollington. A: How do you care for each other? N: When Hannington is lonely, I can play with him. R: We met in 2007 before we came to Sozo. R: My best memory together was when Benja came and we helped to give him a new name. It had been a Muslim name, but now it is Benjamin. It is a brave name. B: Rosco is a godly man, strong, and brave. R: Benja is brave, loving, and caring. What is your nickname for each other? B: I call Roscoe, JaJa. B: A good friend is one of your family members, in your heart. R: A good friend is a friend who will always be there. Why are you each other’s best friend? R: We are best friends because we grew up seeing each other. We like the same things. B: We have grown together since we were young. We have the same character. We are our brothers’ keepers. Benard: Clinton is funny, stubborn, and he likes to joke. Dennis is also funny, he likes to be bossy, and he likes making fun. Dennis: Clinton is funny, he likes joking, and he likes playing. Benard likes disturbing others and he likes making jokes. Clinton: Dennis is funny, he likes being bossy, he likes fighting. Benard is very helpful and he likes joking around. B: Being with them all the time and playing with them. C: Helping each other and playing together. D: Riding bikes and playing football. What is a memory you have together? C: When we were at school for the first time, Benard helped me me feel ok.
How do you care for one another? D: Benard wakes me up in the morning and he helps me. C: Benard shares with me.